President Trump's first full day in Saudi Arabia was busy, to say the least. He participated in welcoming ceremonies and was awarded the Collar of Abdulaziz Al Saud Medal at the Royal Court Palace. But one thing that slipped through the cracks was how Jared Kushner played an instrumental role in securing the $110 billion arms deal. 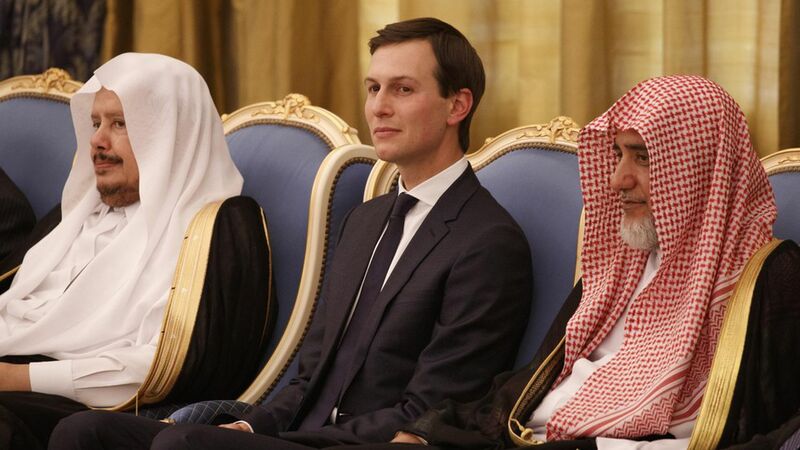 "Let's get this done today," Kushner reportedly said on May 1, per NYT, when meeting with high-level Saudi leaders near the White House to discuss the pending arms deal. He was securing a much-needed win for Trump (though he didn't know it at the time) that would come during his first overseas trip as POTUS. Why it matters: It's further proof two things: 1. Kushner's crucial role in the WH and his involvement in making deal with foreign leaders, all to help Trump. 2. The Trump way of forgoing presidential precedent in favor of making hands-on deals, often involving family members. The problem: A WH official floated the idea of the Saudis buying a radar system that could detect and shoot down ballistic missiles, NYT notes. But Kushner and others recognized that would place a large financial burden on the Saudis, which they might not agree to. The Kushner effect: He called Marillyn A. Hewson, chief executive of Lockheed Martin, the company that makes the radar system. Kushner asked Hewson if she could reduce the price, anticipating the Saudis would be more likely to agree to the arms deal. Hewson reportedly told him she would look into it, officials told NYT. Bottom line: Kushner was working weeks in advance of Trump's first overseas trip to help him secure a win — one that Sean Spicer quickly celebrated on Twitter. "Beyond $109b in military sales, @potus deal w US & Saudi Arabia incs another $250b commercial investment creating hundreds of 1000s US jobs." Looks like Trump can't get to his "America first" pledge without putting family first.